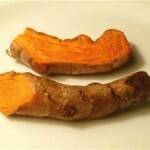 Turmeric has been getting a lot of attention in the health and fitness industry lately. You may know turmeric as a spicy, golden powder in curry recipes that gives Indian dishes its incredible flavor. But, what you may not know about turmeric is that it can help you recover from your next workout. Most recently, a new, double-blind, randomized-controlled study published in the European Journal of Applied Physiology in March 2015 found that curcumin can help reduce pain associated with delayed onset muscle soreness (DOMS) and aid muscle recovery in physically active people. Participants in the study were given curcumin twice daily and asked to perform a heavy eccentric exercise. They were monitored for 2 days and the researchers not only found that the curcumin helped reduce DOMS, but also improved the participants performance due to the anti-inflammatory properties. 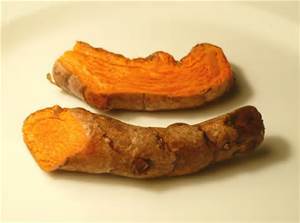 Turmeric or curcumin can be taken in pill form or in the whole form as a spice. If you are choosing to supplement your diet in pill form, either with turmeric or curcumin alone, make sure to seek out a brand that contains the compound piperine, which will aid in absorption. If you would rather consume turmeric “as is”, select an organic, non-irradiated brand that is packed with naturally occurring curcumin. Please note that turmeric and curcumin supplements are not suitable for pregnant women or individuals with bile duct dysfunction or gallstones. Turmeric also has the ability to slow the clotting of blood so it should not be mixed with blood thinners or taken within 2 weeks of any type of surgery. Consult your doctor before beginning any supplementation regime.